As our office manager, I am proud to lead our team to be as efficient as possible while ensuring a smooth day-to-day operation. Having been in the dental management field for more than 20 years, patient rapport is very important to me. My office management skills provide a structured, organized environment for both the staff and the patients, and I am truly dedicated to promoting practice development and sustaining our unparalleled customer service. In my spare time, I enjoy traveling, dining out, and spending time with friends and family. I joined the Central Park West Dental team in October 2016, bringing with me 15 years of experience in the dental practice management field. I hold a Bachelor of Science degree in Psychology from Fordham University. My position as insurance coordinator allows me to work with our patients to create a comfortable and welcoming experience at our practice. I enjoy creating a caring, professional environment, which helps put our patients at ease. I am a native New Yorker who enjoys travel, theater, and I am an avid science fiction and horror fan. 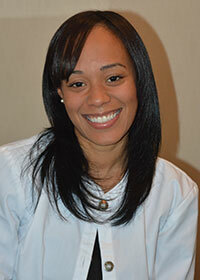 I am a hygienist at Central Park West Dental. 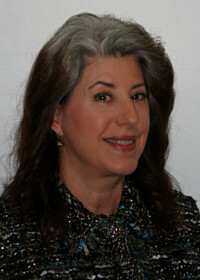 I am a native of Staten Island and graduated New York University with an Associate’s Degree in Dental Hygiene. I am currently in the process of completing my Bachelor’s Degree. I have been in the dental profession for ten years, six of those as a dental assistant. 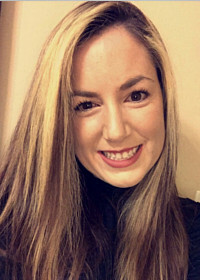 I am passionate about educating my patients on the oral/systemic connection, providing methods of preventing periodontal disease, thereby improving their oral and overall health. I enjoy the outdoors and am an avid equestrian. I am the head dental assistant at Central Park West Dental. I help provide cosmetic, restorative, and preventive treatment to our patients. I’ve been in the dental field for more than ten years and joined Drs. Shipper and Vogel’s practice in 2011. What I enjoy most about the dental profession is the satisfaction of seeing the wonderful transformation in our patients’ smiles and self-esteem. As a member of Central Park West Dental’s team, I love that we are always learning about the latest treatments and technologies in order to provide our patients with the best oral care possible. 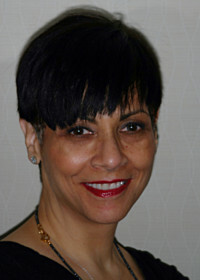 I am one of the hygienists at Central Park West Dental. I grew up in Maryland, where I attended the University of Maryland, College Park, and received my Bachelor's degree in Biological Sciences. After my undergraduate career, I went on to enhance my knowledge in the sciences at The George Washington University, where I received a graduate certificate in Anatomical and Translational Sciences. After being in the D.C. area for my entire life, I decided I wanted a change of pace and scenery, so I decided to apply to New York University College of Dentistry to complete my degree in Dental Hygiene. I've always been passionate about healthcare, specifically the preventive side of it. As a provider, one of my primary objectives is to educate patients about the oral systemic link, and the bi-directional relationship between oral health and overall health. Although I've been living in New York City for a little over two years, I still feel like I have so much to see. I try to walk around the city as much as I can to explore different neighborhoods. I love trying new restaurants and different cuisines, as well as cooking at home.